An outdoor dining table is the centerpiece of a quintessential kiwi backyard. Great for entertaining, serving up alfresco meals and enjoying summer feasts. 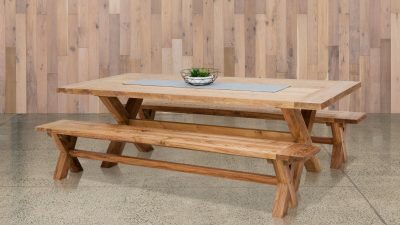 Whether you’re after wooden outdoor furniture, a concrete dining table or something else, we have your needs covered. Where possible, we strive to use teak in our wooden items thanks to its extreme ability to withstand the elements. If you’re unsure what to look for when buying outdoor furniture, check out our buying guide here.